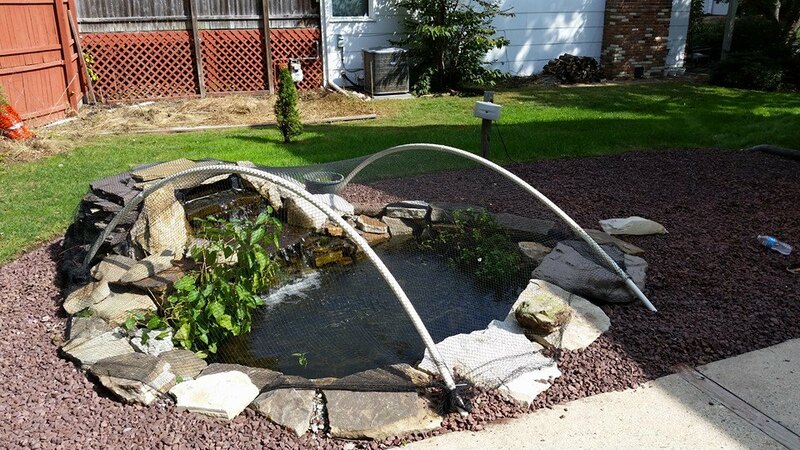 During the summer your pond plants are flourishing, and your fish are thriving. 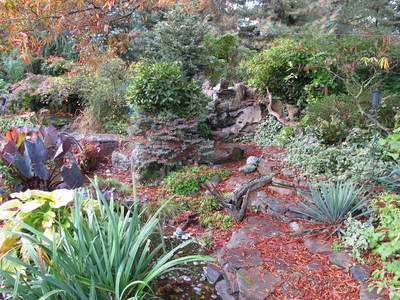 But as Labor Day passes and our days shorten here in the Chicagoland Area, Mother Nature begins to settle into the autumn season. Fall pond netting & maintenance is the beginning step in preparing your pond for winter. 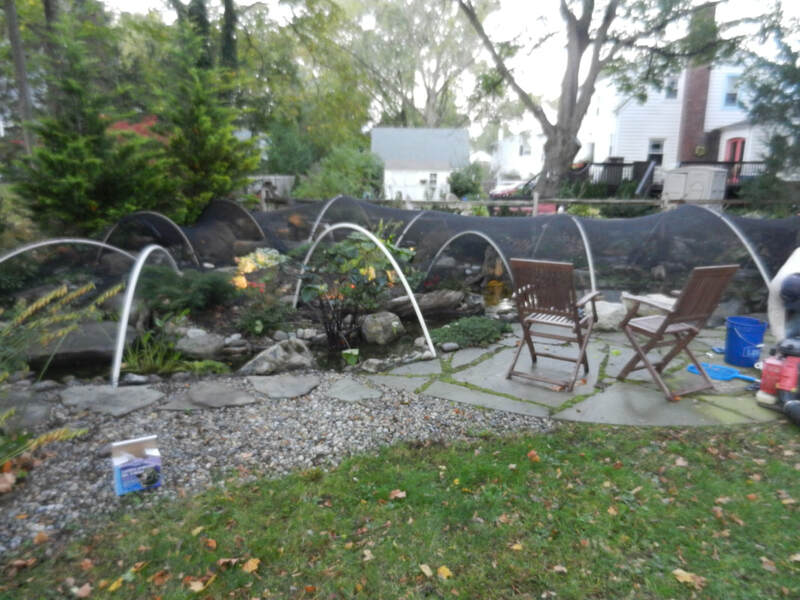 When the tree leaves start changing in Kane County Illinois (IL), it is a perfect opportunity to add a Pond Net to avoid excessive leaves from falling into your pond. 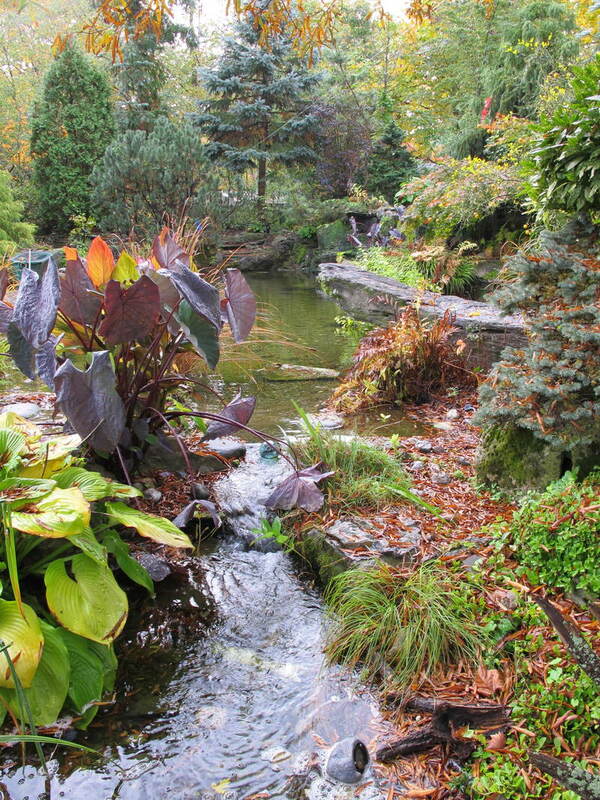 During the fall, it is also a good time to determine if your waterfall or pond will be turned off for the winter. 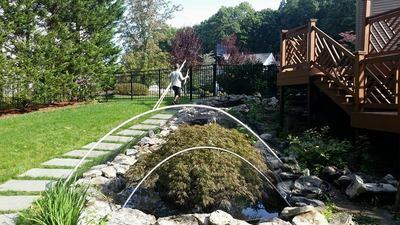 As with Spring and Winter Maintenance, Ponds Inc. will take the necessary steps to ensure that your water feature is ready for the transition from Fall to Winter. 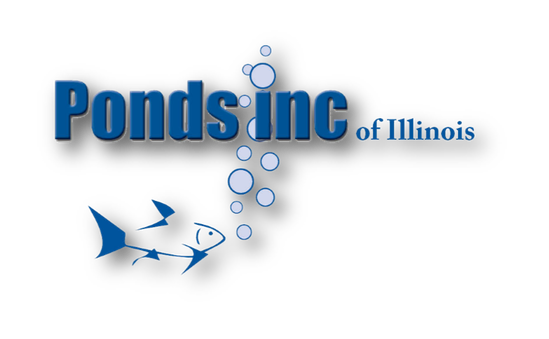 Just as Ponds Inc. can maintain your Chicagoland pond in the Spring and Winter, the Fall season is no exception. We will take the necessary steps and provide your pond with the care that you come to expect. 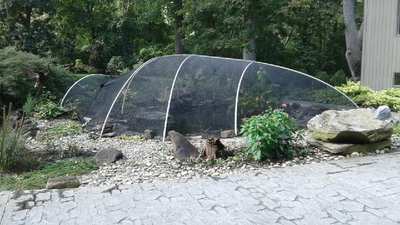 ﻿This process is usually done in early fall before the leaves turn color. 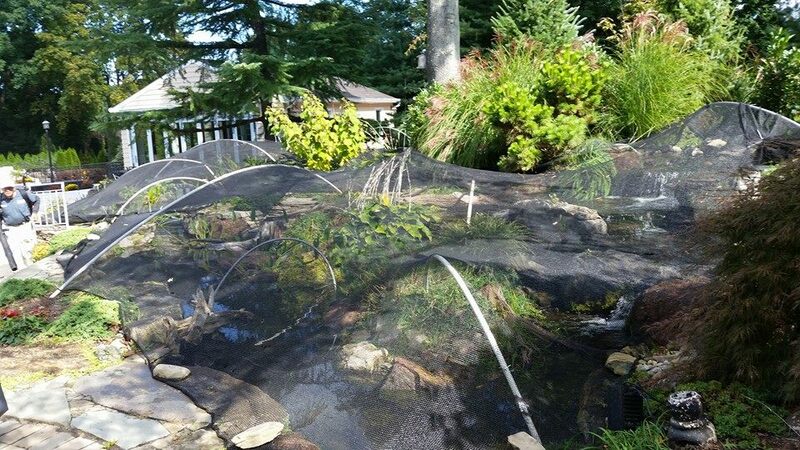 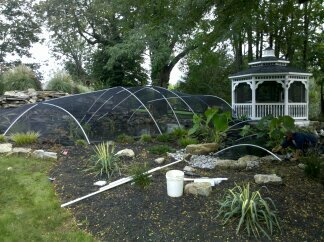 We install a temporary frame with a net that blocks leaves from entering in your pond. 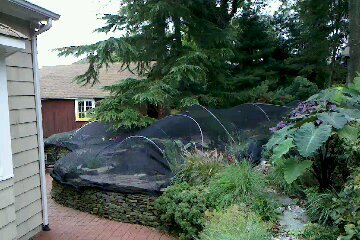 We will return and remove the net before the first heavy snowfall. One of the most beneficial times of year in Chicagoland to clean your pond is in the fall. This will reduce the amount of accumulated substance, like muck or fish waste on the bottom of the pond before the winter season arrives. 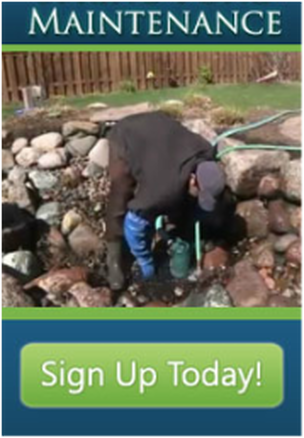 The build-up of these pollutants can potentially harm or prove fatal to fish over the winter months. Ponds Inc. will also replace any burned out bulbs for an additional fee. 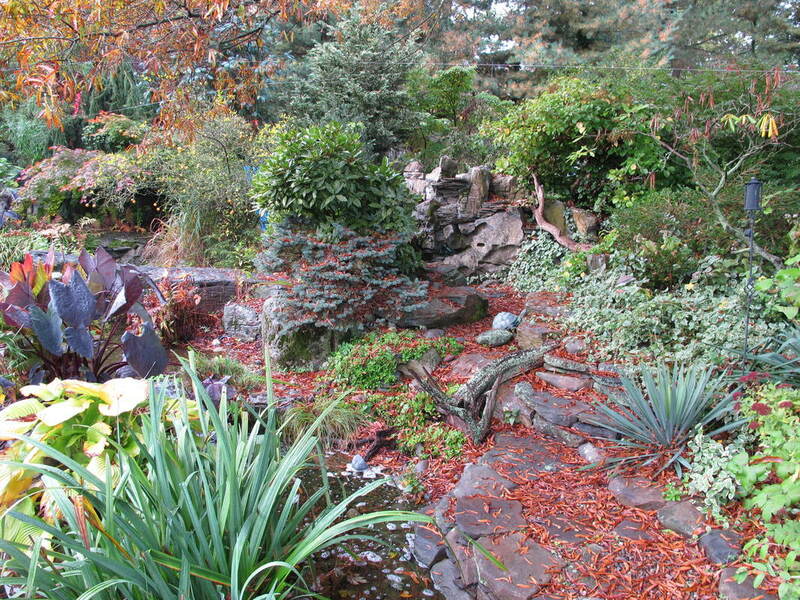 We will also fertilize potted plants or divide and repot plants for an additional fee.